On a beautiful day at a picturesque vineyard outside the town of Mudgee NSW, this charming couple tied the knot. 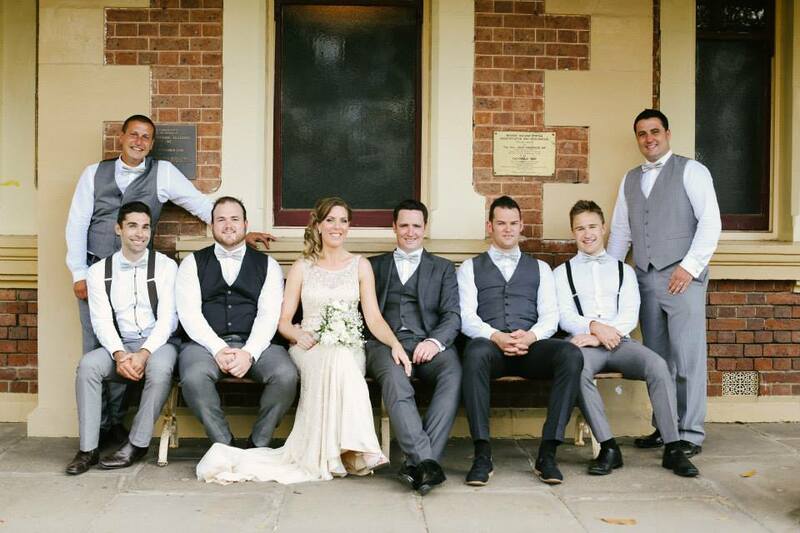 Sal and Ben wanted to celebrate their beautiful day with touches of 'vintage glam', which was enhanced on the day by a gorgeous country setting, grand old buildings and vintage transport for the bridal party. True to theme, the ladies were elegantly dressed in varied neutral tones, with glamorous jewels and stunning white flowers. And, of course, as dapper partners to these vintage gals, the gents rocked different shades of grey (no, not quite 50) and chose a custom Hank in Chief handsome fine charcoal and white stripe for their bow-ties to tie them all together.